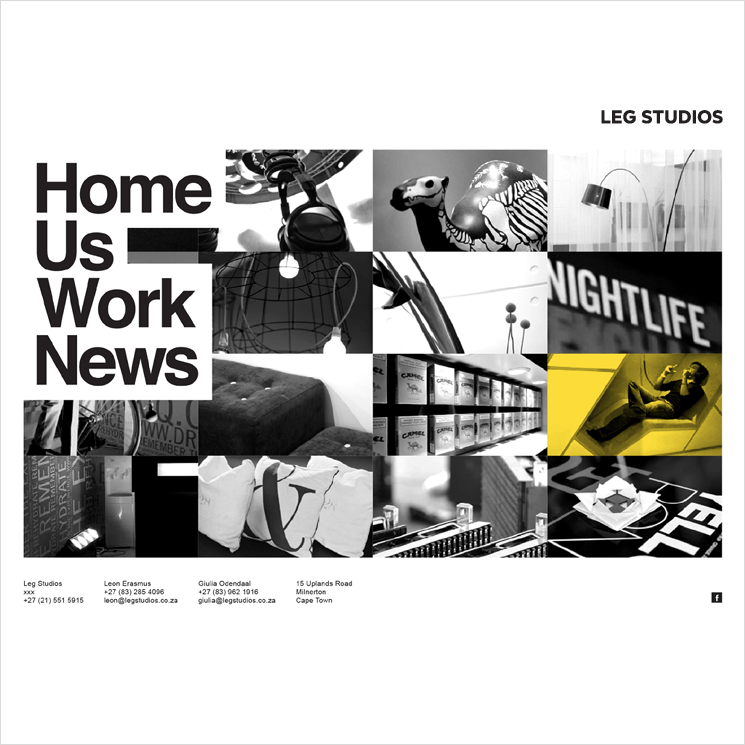 Website and wordmark for LEG STUDIOS. It's had a navigation update, but remains very much in line with the original design. www.legstudios.co.za.